Five hundred years ago, the Emperor Babur laid out beautiful gardens in Kabul. After being battered by war, his favourite one has now been lovingly restored to its former glory. Five hundred years ago, the Emperor Babur laid out beautiful gardens in the city of Kabul, now the capital of Afghanistan. The lush, green spaces provided a peaceful retreat when he returned from battle. Over the centuries, the emperor's favourite garden was battered by war, but has now been lovingly restored to its former glory. 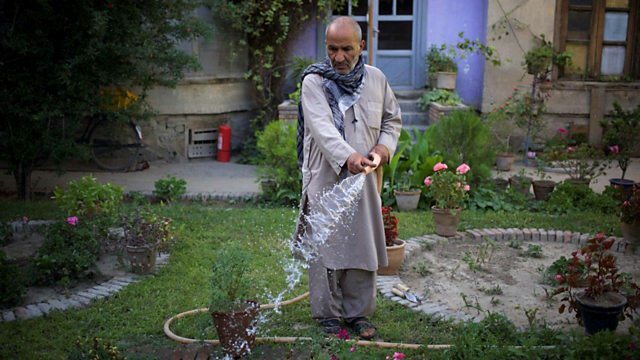 In this film, we meet the gardeners keeping the emperor's legacy alive and we're invited into the private gardens of Afghans who find refuge among their plants and flowers from the stresses of a violent city.